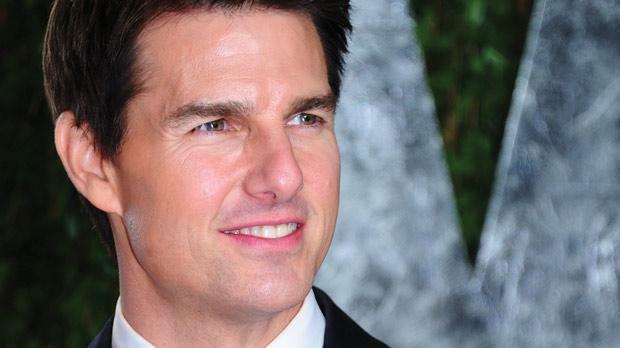 Hollywood star Tom Cruise has set his eyes on a house in the San Ġwann area which film industry sources say costs a whopping €12 million. The house “chosen” by the actor has eight bedrooms, six bathrooms, an indoor and an outdoor pool, a gym and a private cinema. It also has a living room the size of a tennis court. Measuring 230-square metres, it is 30-square metres larger than the minimum he required. The location of the luxury villa is still unknown and Mr Cruise is likely to want it to remain such but sources said the house belonged to one of the most “prominent families” in Malta. Real estate agents could not specifically identify the property in question but did not exclude that there were houses of the sort in the area around San Ġwann, such as the limits of Iklin or Għargħur. They say it is unlikely that the address would be San Ġwann per se because, at €12 million, the price would be too high for a property in that locality. Mr Cruise, 49, will be shooting two films in Malta this year, including the sci-fi We Mortals Are, but since he is not fond of renting property, he decided to buy the holiday house to keep after the filming. In 2007, Mr Cruise bought a $35 million mansion in Beverly Hills, where he lives with his wife Katie Holmes and their five-year-old daughter Suri. The Mission Impossible star hired Milan-based property experts Alessandro Proto Consulting, which already helped him find homes in London and Italy, to find a “suitable residence” in Malta. Earlier this year, Malta Film Commissioner Peter Busuttil said that representatives from the Italian agency would visit Malta this month to find the right property. “However, so far, there have been no queries about filming in Malta or any incentives we might offer,” Mr Busuttil said. Mr Cruise topped Forbes’ Celebrity 100 list in 2006 and was reported to earn €67 million a year. In 2010, his ranking fell to 56th place and his pay was reported to have dropped to a still healthy $22 million. His net worth was last estimated to be $250 million. Double-Oscar winner Tom Hanks is also expected to be shooting a film in Malta this year. Mr Hanks will be starring in Captain Phillips, based on the true story of an American captain who was taken hostage by armed Somali pirates, attempted to escape and was eventually rescued by the US navy. Shooting is expected to start in May.